WASHINGTON: Both Tal­iban and Afghan government officials said on Mon­day that dozens of women would attend the next round of Doha peace talks, which formally begin on April 19, although the Afghan media reported that initial talks had already started. Earlier on Monday, Afghan government officials announced in Kabul that they were close to finalising the list of a 150-member delegation which would attend the Doha meeting later this week. The delegation will include “dozens of women,” the officials added. 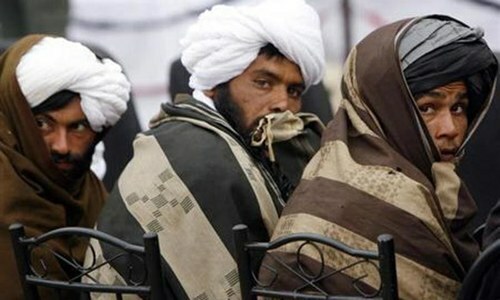 An Afghan news agency, Tolo, reported that US and Taliban delegations had arrived in Doha on Monday for initial talks, although the formal meeting would begin on April 19. The report clai­med that chief US negotiator Zalmay Khalilzad had also reached the Qatari capital. The talks would focus on persuading the Taliban to call off their spring offensive against the Afghan government and US forces and to declare a comprehensive ceasefire, the report added. 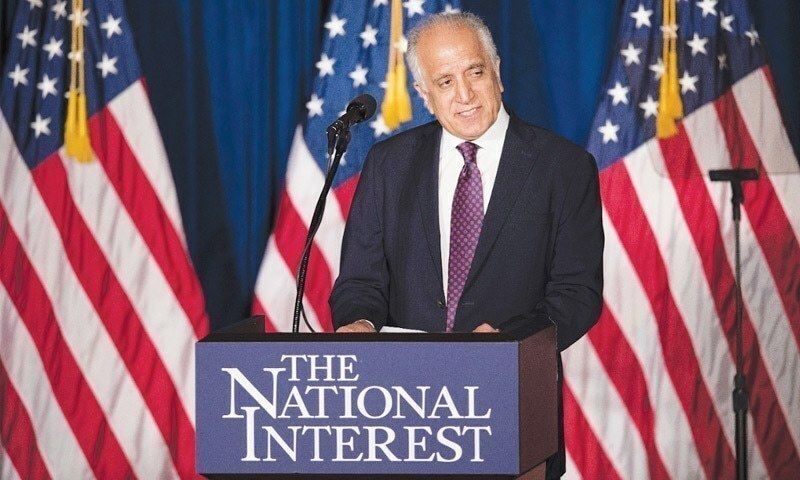 In a series of tweets released on Monday, Mr Khalilzad confirmed that he was now focusing on arranging a comprehensive ceasefire in Afghanistan but did not say if the initial talks had already started. “The Afghan people deserve and want a comprehensive ceasefire and negotiations leading to a lasting peace. The US stands with them,” he wrote. 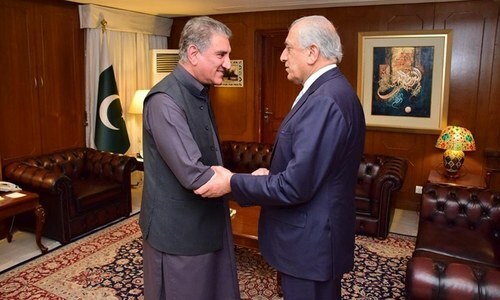 At a news conference last month, Foreign Minister Shah Mahmood Qureshi had hinted that the next round of Doha talks might started earlier than scheduled and could lead to “a logical conclusion”. “It is expected that the sixth round of talks will kick off on April 15. We hope that the meeting will have good results and we hope that this round of talks reaches a logical conclusion,” he said. “Its logical conclusion is peace and stability in the region and we will cooperate in this regard,” he added. “For a group notorious for its strictly conservative attitude to women’s rights, the move represents a step towards addressing demands that women be included in the talks,” wrote the Reuters news agency while commenting on the Taliban’s decision to include women in their team. “These women have no family relationship with the senior members of the Taliban,” said Taliban spokesman Mujahid in a telephone call to Reuters. “They are normal Afghans, from inside and outside the country, who have been supporters and part of the struggle of the Islamic Emirate.” He did not name the women who will be included in this team. A positive step, but still a mile away from peace.. It is good and very nice step for the participation of women in talks on both sides. All are to be respected and women should get all rights to educate, and participate in all walks of life. I holpe that with US lead the amicable solution is nearing to complete. It will be good sign for Afghan people after long long period of unrest. A dubious and malicious marketing gimmick to falsely use the gender card in order to propogate about the so-called peace talks by a dishonest, attacking, invading and occupying U.S. forces, who want to have their cake and eat it too.